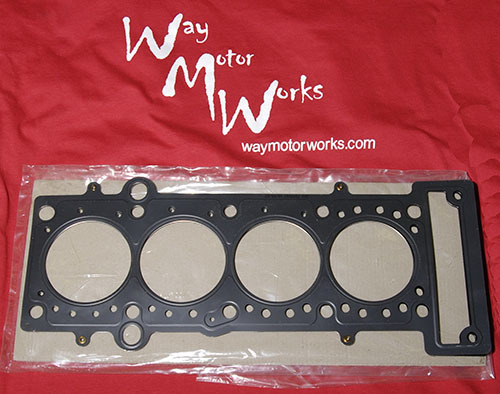 MINI OEM Cylinder Head Gasket for 2002-2006 R50 MINI Cooper, R53 Cooper S and R52 Convertible S. You'll need this gasket anytime you remove the cylinder head from your MINI. This is the stock triple layer gasket used at the MINI factory. If you have decked the head or block you may have to order our thicker version of the cylinder head gasket by selecting the option below. Thicker gasket is .3mm thicker than the stock gasket.